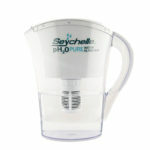 Seychelle EXTREME Replacement Water Filter for the 20 oz Sports Bottle. Provides your family high quality drinking water by filtering contaminants, heavy metals, bacteria, viruses and radiation. Available in Blue or Pink. The Dual-Chambered EXTREME Water Replacement Filter for the 20 oz. 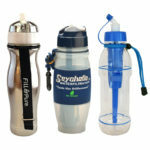 Sports Bottle has the Seychelle™ EXTREME Filter System for contaminants, heavy metals, bacteria and viruses. PLUS a second resin chamber for radiation filtering. This filter includes the Seychelle™ Extreme dual-chambered filter which filters everything all of our other filters do combined . It can be used with tap water or outside water sources such as rainwater, rivers, streams or even freshwater lakes. Can also be used with turbid water (stagnant) during emergencies. 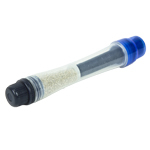 Cannot be used with brackish water or salt-water which may clog the filter (brackish water has more salinity than fresh water, but not as much as seawater – normally river or estuaries that are near seawater). 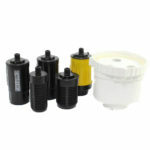 Can be used with tap water or outside water sources such as rainwater, rivers, streams or even freshwater lakes. Can also be used with turbid water (stagnant) during emergencies. Removes up to 99.9999% of known bacteria and viruses, including Ebola and Enterovirus. 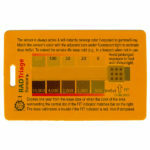 Removes up to 99.99% radiological contaminants that can be found in drinking water. All of the Seychelle filters listed below are compatible and completely interchangeable with the 20 oz Sports Water Bottle. The filter will not wear out, per se. However, the maximum filtering capability gradually diminishes and when the water flow is too low, it’s time to replace the straw. 100 gallons is the maximum. The National Environmental Laboratory Accreditation Conference (NELAC) is a cooperative association of States and Federal agencies, formed to establish and promote mutually acceptable performance standards for the operation of environmental laboratories. Basically, if a lab is NELAC accredited, you can trust its findings. 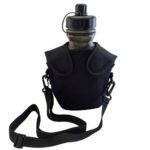 Be the first to review “Replacement filter for EXTREME 20 oz Sports Water Bottle by Seychelle” Click here to cancel reply.